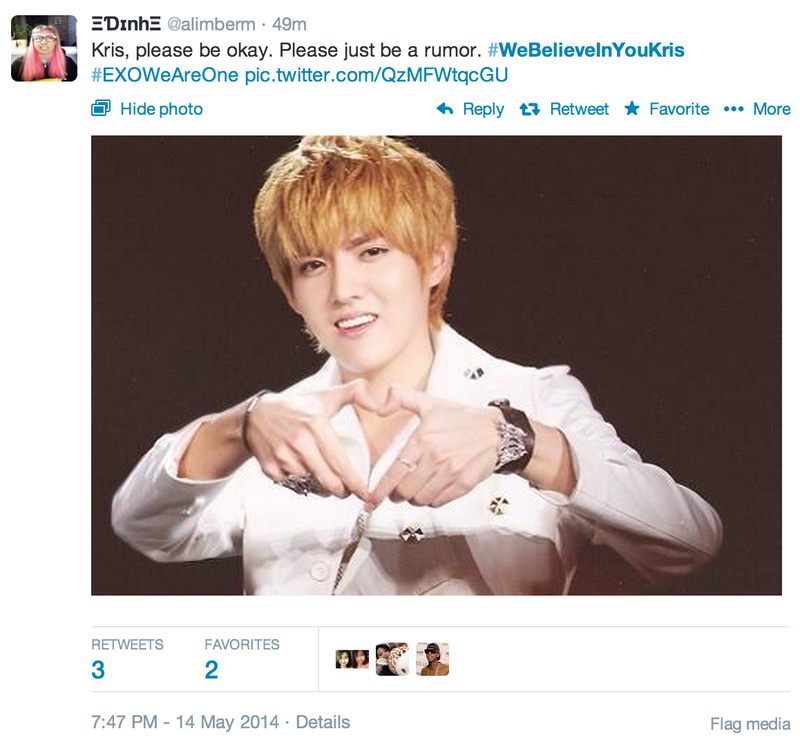 Twitter exploded on May 14th with the rumor that Kris from the popular boy band EXO is suing SM Entertainment and leaving the group. 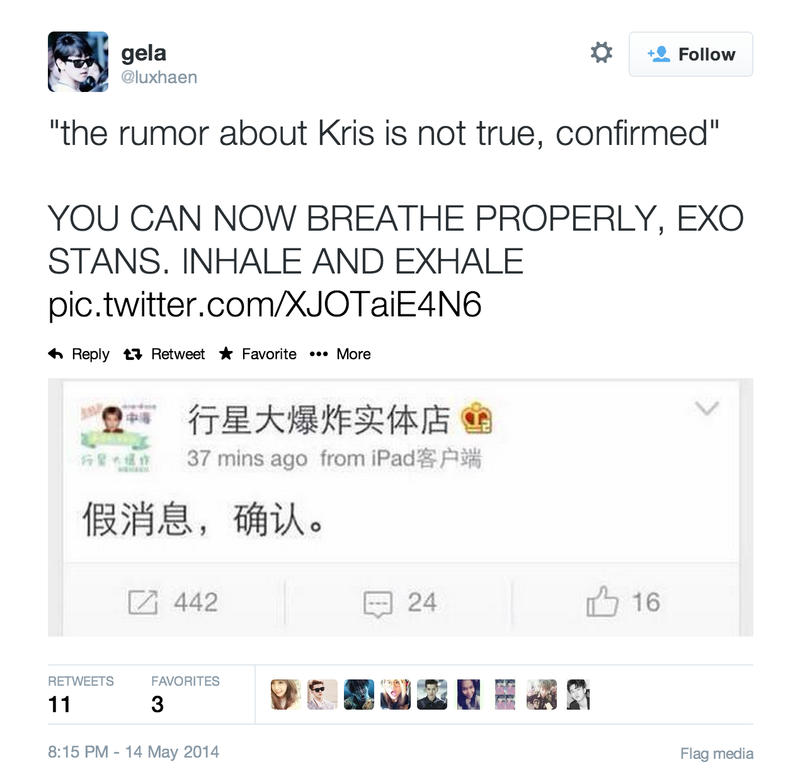 The only source of this information has been from the Chinese news website Sina. 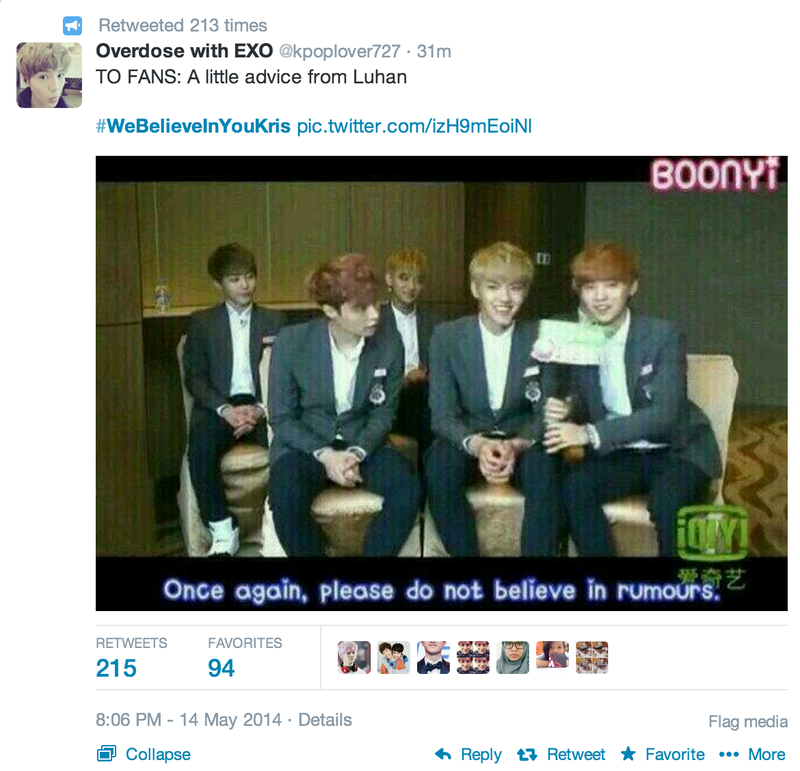 Needless to say, the internet freaked out and Kpop fans don’t know what to believe. 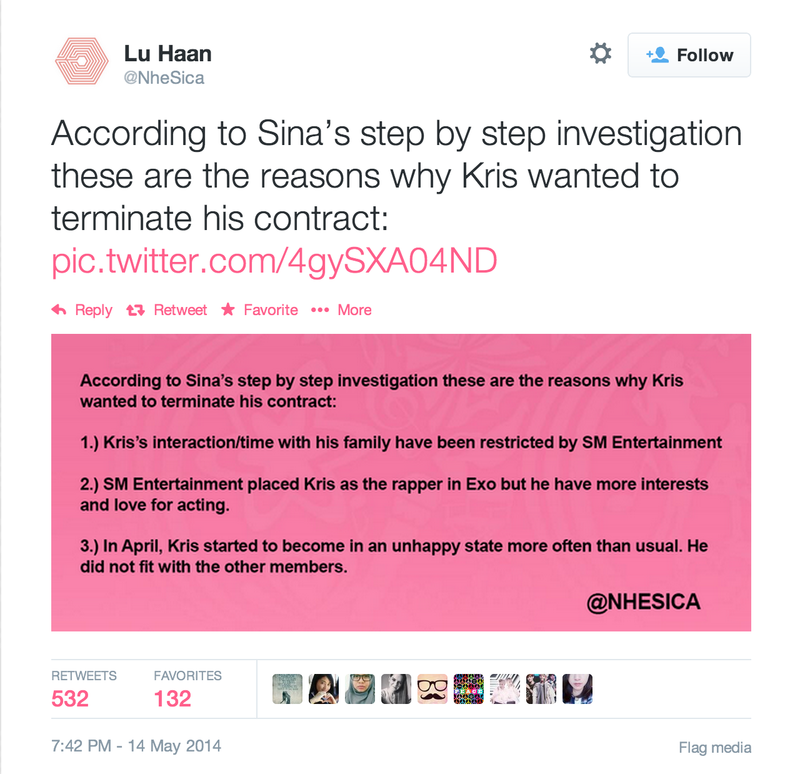 Here’s a summary that one fan posted based off of the Sina article. There was a downpour of fan reactions to this rumor, the majority demanding that this was false information. Here is a sampling of tweets I’ve found reacting to the situation. I do not know if any of the posts are true. Please read them as tweets that were posted, not facts. That being said, the facts are still uncertain. 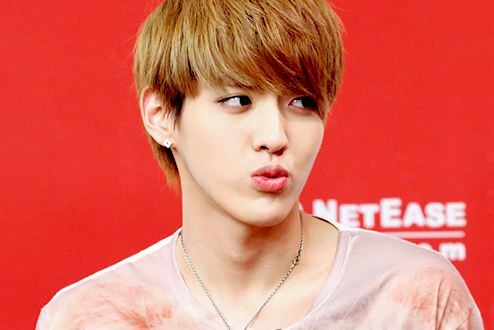 One thing’s for sure, I feel bad for Kris’s new Instagram account. Let’s hope we get some concrete information soon! It has been confirmed. 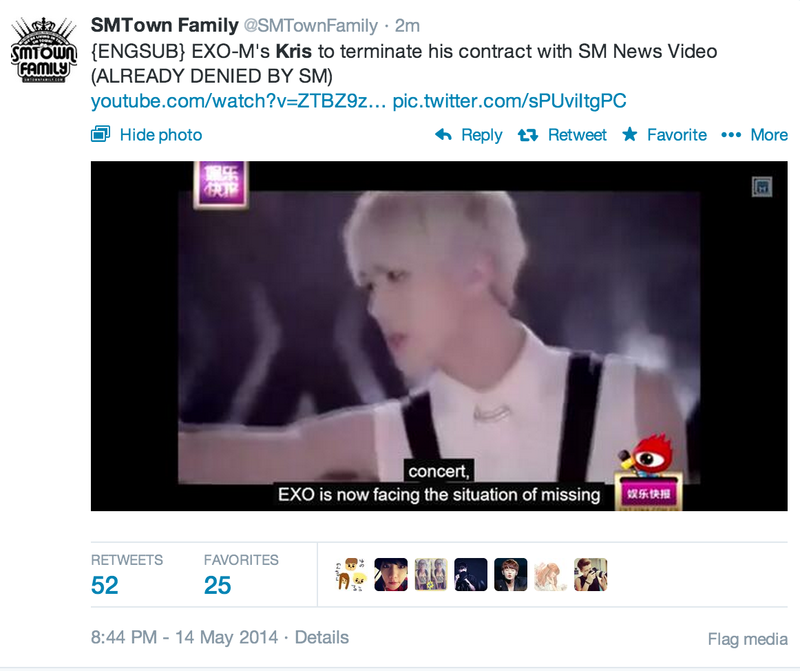 Kris is suing SM for nullification of his contract. Good for him. This is the one part of K-Pop I really don’t like. Though part of me still hopes that things are getting blown out of proportion.